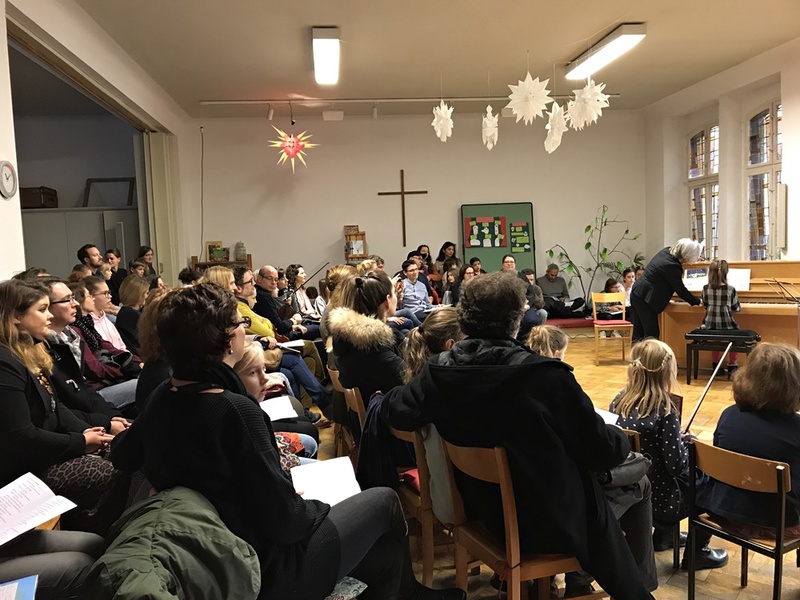 During the Advent season, Christmas music was played at many locations of our music school, often also to sing along. 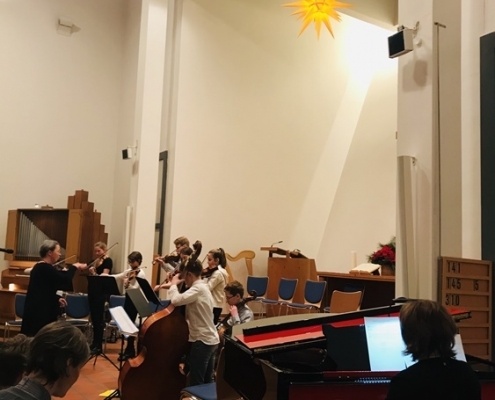 In the village church Groß Glienicke, pupils from Falkensee performed with their project orchestra. 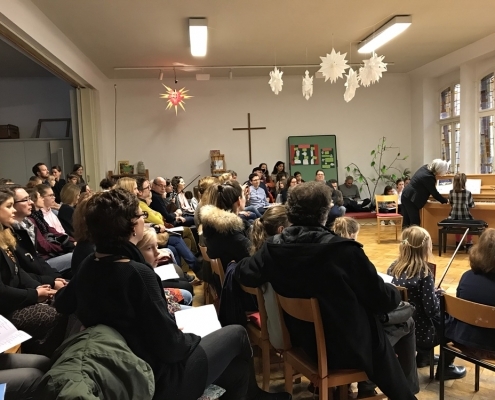 In the Erlöserkirche in Berlin-Mitte, pupils from Berlin-Prenzlauer Berg showed their skills. 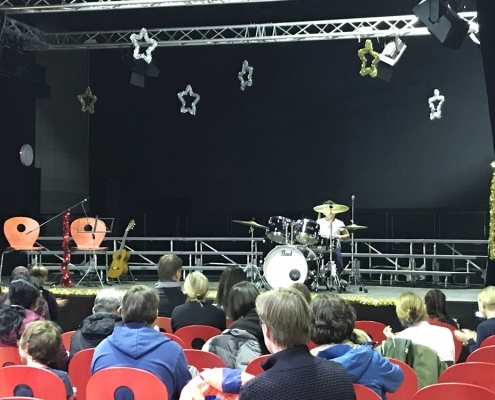 Three Christmas concerts took place at our new location at the Phorms campus – in addition to this, many class auditions took place. 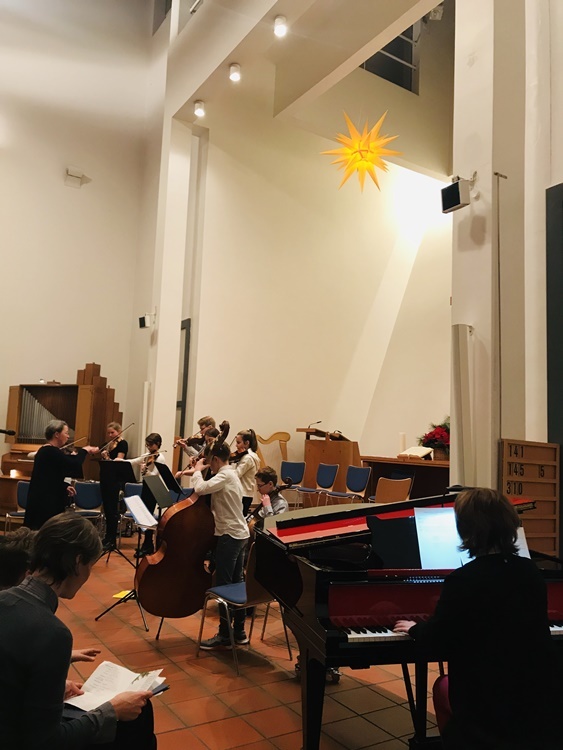 On the third Sunday of Advent, music students from Potsdam presented their skills at their Christmas concert in the Versöhnungskirche. 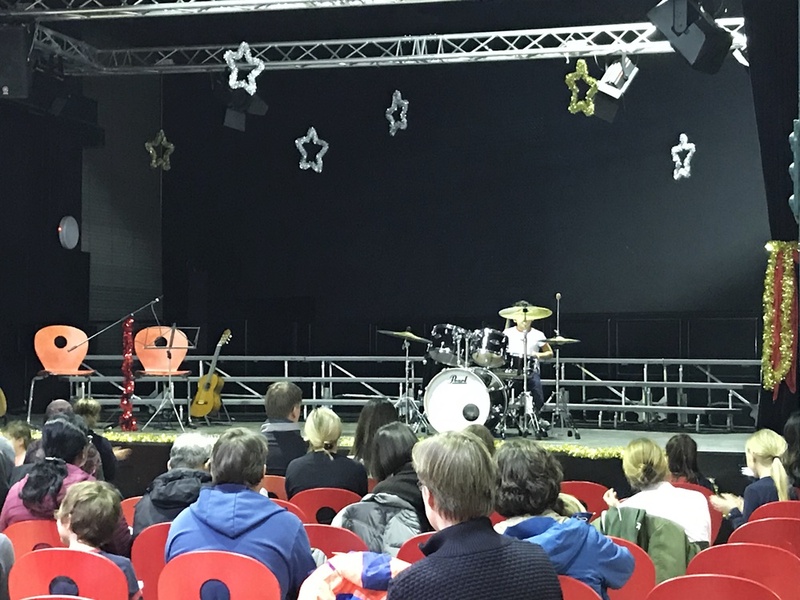 In addition to contributions by great soloists and ensembles, this year, the focus was on families who played music together and invited to sing along.